Share Super Champ With Your Friends! 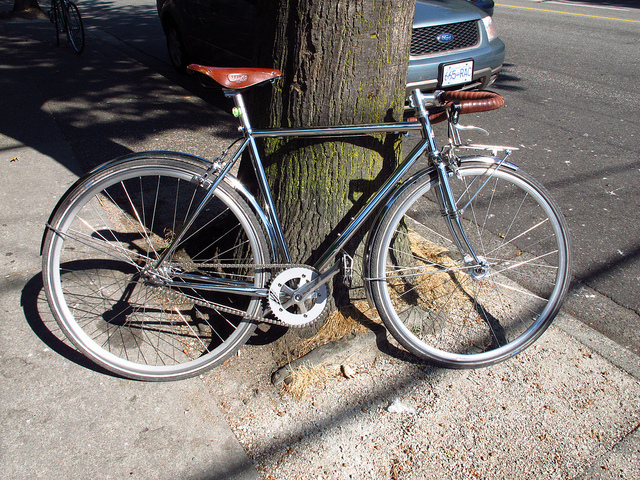 This is a classy Motobecane single speed we built up to be raffledoff by a local coffee shop. They hung it all their wall for a month and the more coffee you consumed the more chances you had to win.Full chrome frame, Berthoud fenders, Messenger cranks, Nitto m-18 front rack, and brooks saddle and bartape. I can’t even imagine how many coffee’s the winner had to drink to end up in possession of this thing, hopefully it was worth it!